Direct metal laser sintering (DMLS) is essentially the same process as SLS: a laser is used to solidify, or sinter, powdered metals in successive layers to manufacture metal products. It is a good alternative to traditional manufacturing for parts with complex internal geometries like spiral vents or nested cores, and it allows for manufacturing metal parts without the tooling costs or lead times of machining. 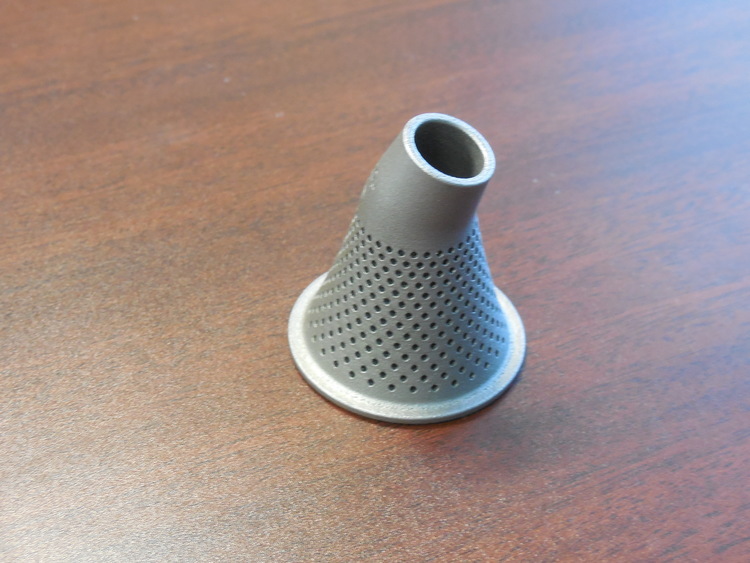 3D printed metal parts are strong, durable and heat resistant. They are most ideal for small runs or quickly creating functional prototypes. In other situations, CNC machining can be a viable alternative to DMLS or metal printing. It offers excellent detail and surface finish and scales well with medium- to large-sized batches. Though it has longer lead times, it has a much lower unit cost than 3D printed metals at higher volumes. To learn about all of our manufacturing services, check out our 5-Minute Buyer’s Guide.